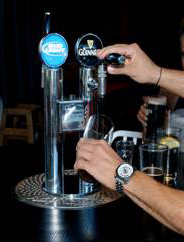 Once you’ve had your beer tap system installed, it is important to make sure that it is regularly maintained. We offer the following services to help you manage your restaurant/pub and ensure that everything is working efficiently. Beer line cleaning: Bi-weekly cleaning using Anheuser-Busch approved chemicals. Preventive maintenance programs: Comprehensive PM available for all refrigeration equipment in addition to the tap systems. Emergency Service: 24/7 service available to all premiere accounts and keg wholesalers. Profit/Loss Analysis: Make an appointment to calculate draft beer profits. If you’d like to learn more about our services, or would like to schedule an appointment, please call us at 508-478-3766 or email us.